Christina has worked as an academic and researcher in Medical Imaging for the last 16 years, having worked previously as an MRI radiographer in the University Hospital of Athens, Greece, where she qualified. She was awarded her PhD from imperial College London, having carried out her research at the Robert Steiner MRI Unit at Hammersmith Hospital. She has received the clinical MRI prize and Leonard Levy prize of the British Institute of Radiology for her research presented at UKRC in 2006. She has taught Medical Imaging and Research Methods in 7 different Universities and 3 countries (acting as visiting lecturer at ATEI of Athens, Greece and UCD Ireland) and she has been an invited/keynote speaker at many key medical imaging conferences in the UK, Greece, other European countries and the USA on many different occasions. Christina is a Senior Fellow of the Higher education academy. She remains visiting lecturer of different postgraduate medical imaging courses at King's College London since 2016 and guest lectured at UCL in 2018. She is currently PG programme director for Radiography and supervises master's level student projects. Christina has held many leadership positions at the European Congress of Radiology since 2004, including leading the Radiographers' Scientific programme Committee as Chair for 2016. She is also the Medical Imaging Expert committee lead for the European Federation of Radiographer Societies and the steering committee lead for the Formal Radiography Research Mentoring (FoRRM) scheme funded by the Society and College of Radiographers since 2017, now ready to start its second round and intake (April 2019) with renewed funding. She is an MRI expert, having worked extensively in brain MRI, perinatal MRI, placental MRI and high field MRI research studies at Imperial college, University of Liverpool, King's College London. She has also a keen interest in clinical education, research mentoring and research capacity building for healthcare practitioners. She accepts PhD students in any of the above research fields. Christina has presented her research nationally and internationally and published extensively at many high impact factor journals since 2004. She has received research funding as a co-applicant or main applicant of a total £2.5mi, and is actively involved in improving professional practice and research capacity in radiography through her many leadership positions and research networks. 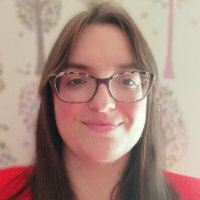 Christina has co-authored national guidelines on perinatal MRI (with the British Association of Perinatal Medicine) and on patient and public engagement with research (with the Society and College of Radiographers). She has participated in local outreach events of different primary schools in London. She has also worked as a research consultant in Greece, Ireland and UK, to establish fetal MRI services at state and private maternity hospitals, such as the Mitera Maternity Hospital of Athens and the National Maternity Hospital in Ireland, who remain research collaborators. Her current research involves fetal MRI with King's College London, simulated practice with University of Greenwich, Research mentoring with the Society and college of Radiographers, cardiovascular MRI with Oxford University, and MRI in autism with the autism group at City University, CASS and many research collaborators nationally and internationally. French (can read, write, speak and understand spoken), German (can read and write) and Greek, Modern (1453-) (can read, write, speak, understand spoken and peer review). Matthew, J., Knight, C., Malamateniou, C., Pasupathy, D. and Rutherford, M. (2017). Fetal biometry and estimated fetal weight in the second trimester: A comparison of intra- and interobserver agreement and variability using ultrasound and magnetic resonance imaging with two-dimensional measurements and three-dimensional whole fetal volume techniques. Lloyd, D.F.A., van Amerom, J.P., Pushparajah, K., Simpson, J., Zidere, V., Miller, O. … Razavi, R. (2016). P22 Early experience of multi-sequence fetal cardiac magnetic resonance imaging within a clinical fetal cardiology service. Alansary, A., Kamnitsas, K., Davidson, A., Khlebnikov, R., Rajchl, M., Malamateniou, C. … Kainz, B. (2016). Fast fully automatic segmentation of the human placenta from motion corrupted MRI. van Amerom, J., Malamateniou, C., Pushparajah, K., Fox, M., Allsop, J., Rutherford, M. … Razavi, R. (2015). In utero assessment of congenital heart disease by MRI: preliminary experience. Routledge, E., Davidson, A., Allsop, J., Fox, M., Hajnal, J., Malamateniou, C. … Rutherford, M. (2015). Optimisation of MR imaging for the evaluation of placenta: preliminary results. Pegoretti, K., Arulkumaran, S., Allsop, J., Fox, M., Davidson, A., Patkee, P. … Malamateniou, C. (2015). Fetal MRI at 3T: how to make it work. Kainz, B., Alansary, A., Malamateniou, C., Keraudren, K., Rutherford, M., Hajnal, J.V. … Rueckert, D. (2015). Flexible reconstruction and correction of unpredictable motion from stacks of 2D images. Kainz, B., Malamateniou, C., Ferrazzi, G., Murgasova, M., Egger, J., Keraudren, K. … Rueckert, D. (2015). Adaptive scan strategies for fetal MRI imaging using slice to volume techniques. Bowles, C., Nowlan, N.C., Hayat, T.T.A., Malamateniou, C., Rutherford, M., Hajnal, J.V. … Kainz, B. (2015). Machine learning for the automatic localisation of foetal body parts in cine-MRI scans. Alansary, A., Lee, M., Keraudren, K., Kainz, B., Malamateniou, C., Rutherford, M. … Rueckert, D. (2015). Automatic brain localization in fetal MRI using superpixel graphs. Kainz, B., Malamateniou, C., Murgasova, M., Keraudren, K., Rutherford, M., Hajnal, J.V. … Rueckert, D. (2014). Motion corrected 3D reconstruction of the fetal thorax from prenatal MRI. Koch, L.M., Wright, R., Vatansever, D., Kyriakopoulou, V., Malamateniou, C., Patkee, P.A. … Rueckert, D. (2014). Graph-based label propagation in fetal brain MR images. Malamateniou, C., Papaioannou, G., Loggitsi, D., Zambelis, I. and Kampas, E. (2011). High Field Open MRI: Correlation with Fetal Ultrasound in the Evaluation of Central Nervous System Abnormalities. Xue, H., Malamateniou, C., Allsop, J., Srinivasan, L., Hajnal, J.V. and Rueckert, D. (2006). Automatic extraction and matching of neonatal cerebral vasculature. Matthew, J., Malamateniou, C., Knight, C.L., Baruteau, K.P., Fletcher, T., Davidson, A. … Rutherford, M. (2018). A comparison of ultrasound with magnetic resonance imaging in the assessment of fetal biometry and weight in the second trimester of pregnancy: An observer agreement and variability study. Ultrasound, 26(4), pp. 229–244. doi:10.1177/1742271X17753738 . Williamson, W., Lewandowski, A.J., Forkert, N.D., Griffanti, L., Okell, T.W., Betts, J. … Leeson, P. (2018). Association of cardiovascular risk factors with MRI indices of cerebrovascular structure and function and white matter hyperintensities in young adults. JAMA - Journal of the American Medical Association, 320(7), pp. 665–673. doi:10.1001/jama.2018.11498 . Slator, P., Aughwane, R., Cade, G., Taylor, D., David, A.L., Lewis, R. … Yassine, B. (2018). Placenta Imaging Workshop 2018 report: Multiscale and multimodal approaches. Placenta. doi:10.1016/j.placenta.2018.10.010 . Lloyd, D.F.A., van Amerom, J.F.P., Pushparajah, K., Simpson, J.M., Zidere, V., Miller, O. … Razavi, R. (2016). An exploration of the potential utility of fetal cardiovascular MRI as an adjunct to fetal echocardiography. Prenatal Diagnosis, 36(10), pp. 916–925. doi:10.1002/pd.4912 . Kainz, B., Steinberger, M., Wein, W., Kuklisova-Murgasova, M., Malamateniou, C., Keraudren, K. … Rueckert, D. (2015). Fast Volume Reconstruction from Motion Corrupted Stacks of 2D Slices. IEEE Transactions on Medical Imaging, 34(9), pp. 1901–1913. doi:10.1109/TMI.2015.2415453 . Rutherford, M., Ward, P., Allsop, J., Malamateniou, C. and Counsell, S. (2015). Corrigendum to "magnetic resonance imaging in neonatal encephalopathy" [Early Hum. Dev. 81 (1) (2005 Jan) 13-25] DOI: 10.1016/j.earlhumdev.2004.10.011. Early Human Development, 91(12), p. 661. doi:10.1016/j.earlhumdev.2015.09.002 . Vasylechko, S., Malamateniou, C., Nunes, R.G., Fox, M., Allsop, J., Rutherford, M. … Hajnal, J.V. (2015). T2∗ relaxometry of fetal brain at 1.5 Tesla using a motion tolerant method. Magnetic Resonance in Medicine, 73(5), pp. 1795–1802. doi:10.1002/mrm.25299 . Rutherford, M.A., Ward, P. and Malamateniou, C. (2015). Corrigendum to Advanced MR techniques in the term-born neonate with perinatal brain injury [Semin Fetal Neonatal Med, 10, 5, (2005), 445-460] doi: 10.1016/j.siny.2005.05.005. Seminars in Fetal and Neonatal Medicine, 20(5), p. 374. doi:10.1016/j.siny.2015.09.007 . Keraudren, K., Kuklisova-Murgasova, M., Kyriakopoulou, V., Malamateniou, C., Rutherford, M.A., Kainz, B. … Rueckert, D. (2014). Automated fetal brain segmentation from 2D MRI slices for motion correction. NeuroImage, 101, pp. 633–643. doi:10.1016/j.neuroimage.2014.07.023 . Ferrazzi, G., Kuklisova Murgasova, M., Arichi, T., Malamateniou, C., Fox, M.J., Makropoulos, A. … Hajnal, J.V. (2014). Resting State fMRI in the moving fetus: A robust framework for motion, bias field and spin history correction. NeuroImage, 101, pp. 555–568. doi:10.1016/j.neuroimage.2014.06.074 . Kainz, B., Malamateniou, C., Murgasova, M., Keraudren, K., Rutherford, M., Hajnal, J.V. … Rueckert, D. (2014). Motion corrected 3D reconstruction of the fetal thorax from prenatal MRI. Medical image computing and computer-assisted intervention : MICCAI ... International Conference on Medical Image Computing and Computer-Assisted Intervention, 17, pp. 284–291. Vasu, V., Durighel, G., Thomas, L., Malamateniou, C., Bell, J.D., Rutherford, M.A. … Modi, N. (2014). Preterm nutritional intake and MRI phenotype at term age: A prospective observational study. BMJ Open, 4(5). doi:10.1136/bmjopen-2014-005390 . Malamateniou, C., Malik, S.J., Counsell, S.J., Allsop, J.M., McGuinness, A.K., Hayat, T. … Rutherford, M.A. (2013). Motion-compensation techniques in neonatal and fetal MR imaging. American Journal of Neuroradiology, 34(6), pp. 1124–1136. doi:10.3174/ajnr.A3128 . Leijser, L.M., Rutherford, M.A., Srinivasan, L., Allsop, J.M., Fitzpatrick, J., Counsell, S.J. … Malamateniou, C. (2012). Neonatal cerebrovascular studies using Doppler velocity measurements and MRA. Journal of Pediatric Neuroradiology, 1(2), pp. 95–104. doi:10.3233/PNR-2012-015 . Malamateniou, C., McGuinness, A.K., Allsop, J.M., O'Regan, D.P., Rutherford, M.A. and Hajnal, J.V. (2011). Snapshot inversion recovery: An optimized single-shot T1-weighted inversion-recovery sequence for improved fetal brain anatomic delineation. Radiology, 258(1), pp. 229–235. doi:10.1148/radiol.10100381 . Rutherford, M., Malamateniou, C., McGuinness, A., Allsop, J., Biarge, M.M. and Counsell, S. (2010). Magnetic resonance imaging in hypoxic-ischaemic encephalopathy. Early Human Development, 86(6), pp. 351–360. doi:10.1016/j.earlhumdev.2010.05.014 . Malamateniou, C., Adams, M.E., Srinivasan, L., Allsop, J.M., Counsell, S.J., Cowan, F.M. … Rutherford, M.A. (2009). The anatomic variations of the circle of Willis in preterm-at-term and term-born infants: An MR angiography study at 3T. American Journal of Neuroradiology, 30(10), pp. 1955–1962. doi:10.3174/ajnr.A1724 . Malamateniou, C. (2009). Radiography and research: A United Kingdom perspective. European Journal of Radiography, 1(1), pp. 2–6. doi:10.1016/j.ejradi.2008.12.003 . Ng, S.M., Turner, M.A., Gamble, C., Didi, M., Victor, S., Malamateniou, C. … Weindling, A.M. (2008). TIPIT: A randomised controlled trial of thyroxine in preterm infants under 28 weeks gestation: Magnetic Resonance Imaging and Magnetic Resonance Angiography protocol. BMC Pediatrics, 8(1). doi:10.1186/1471-2431-8-26 . Malamateniou, C., Counsell, S.J., Allsop, J.M., Fitzpatrick, J.A., Srinivasan, L., Cowan, F.M. … Rutherford, M.A. (2006). The effect of preterm birth on neonatal cerebral vasculature studied with magnetic resonance angiography at 3 Tesla. NeuroImage, 32(3), pp. 1050–1059. doi:10.1016/j.neuroimage.2006.05.051 . Rutherford, M.A., Ward, P. and Malamatentiou, C. (2005). Advanced MR techniques in the term-born neonate with perinatal brain injury. Seminars in Fetal and Neonatal Medicine, 10(5), pp. 445–460. doi:10.1016/j.siny.2005.05.005 . Rutherford, M., Ward, P., Allsop, J., Malamatentiou, C. and Counsell, S. (2005). Magnetic resonance imaging in neonatal encephalopathy. Early Human Development, 81(1), pp. 13–25. doi:10.1016/j.earlhumdev.2004.10.011 . Rutherford, M., Malamateniou, C., Zeka, J. and Counsell, S. (2004). MR imaging of the neonatal brain at 3 Tesla. European Journal of Paediatric Neurology, 8(6), pp. 281–289. doi:10.1016/j.ejpn.2004.08.003 .